The interactive music museum “Casa de la Música Viena” is located in the capital of the Mexican state Puebla, about 130km southeast of Mexico City, and was inaugurated in January 2015. Much like Haus der Musik in Vienna, the Mexican “Casa de la Música” presents a wide variety of topics focusing on music and sound. The presentation is very much inspired by Haus der Musik Vienna, but has been adapted to embrace regional specificities. The entire collection of exhibits of Haus der Musik was rebuilt 1:1 according to building plans, detailed concepts, material specifications and photos. 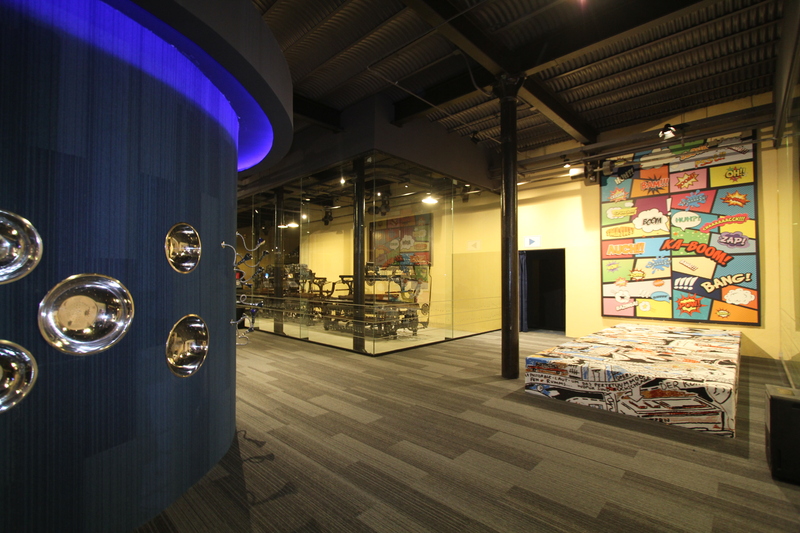 One important addition in Mexico was a special exhibition space, which will be programmed with varying musical content. These temporary sound exhibitions will place a recurring emphasis on Mexican music. The project was initiated by Simon K. Posch together with the Mexican diplomat, author, journalist and intellectual Andrés Roemer. The latter’s grandfather had been forced to leave Austria in 1938 in direction of Mexico, where he embarked on a successful career as orchestral conductor. 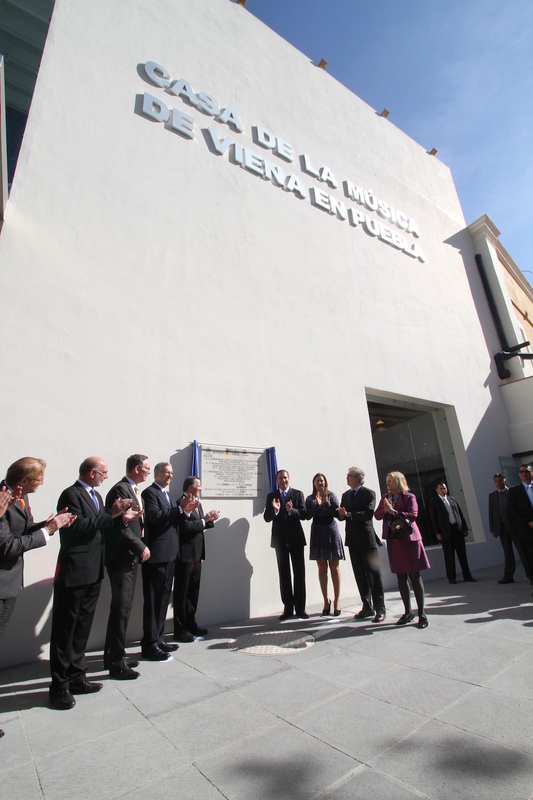 The project “Casa de la Música Viena” was carried and financed by a Mexican PPP initiative. 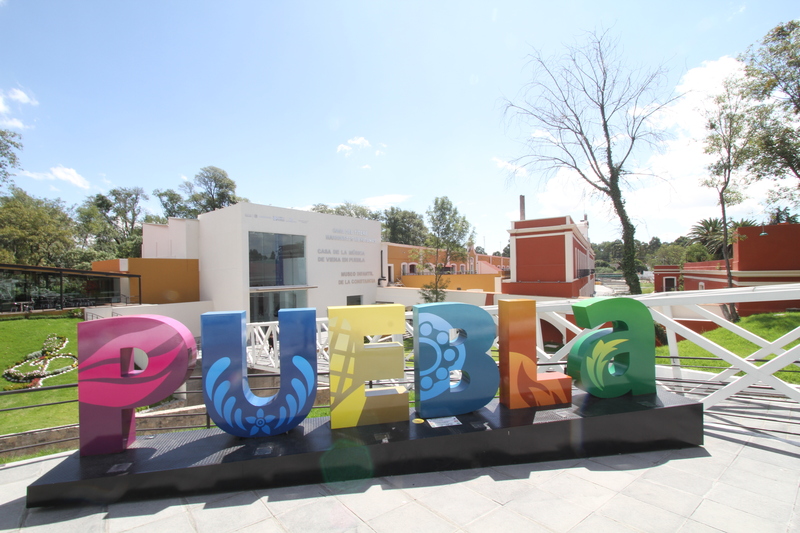 The actors involved are the state of Puebla, the federal government and its cultural section CONACULTA as well as the private investor FUNDACIÓN AZTECA, which is the foundation of entrepreneur Ricardo Salinas. Heroica Puebla de Zaragoza (Puebla for short) is the capital of the state of Puebla. The city is located 2,135 m above sea level and has a population of around 1.5 million (2.7 million including the surrounding metropolitan area). 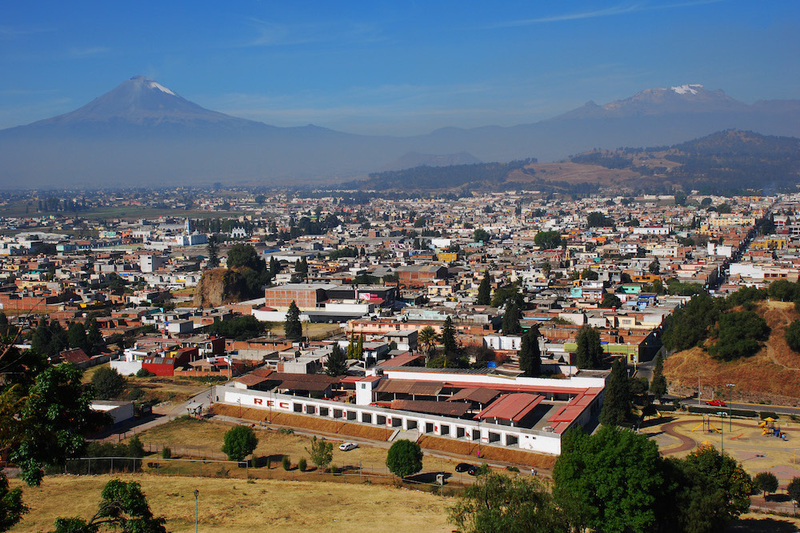 Puebla was founded in 1531 and is therefore one of Mexico’s oldest cities. Its pleasant climate and strategic location facilitated its rise to become Mexico’s second largest colonial city. “La Constancia Mexicana”, the site which houses the “Casa de la Música Viena”, is located around 9 km north of the historic downtown area of the city of Puebla, the capital of the state of the same name. The disused, listed factory was once the largest textile factory south of the US (covering an area of around 5 hectares). 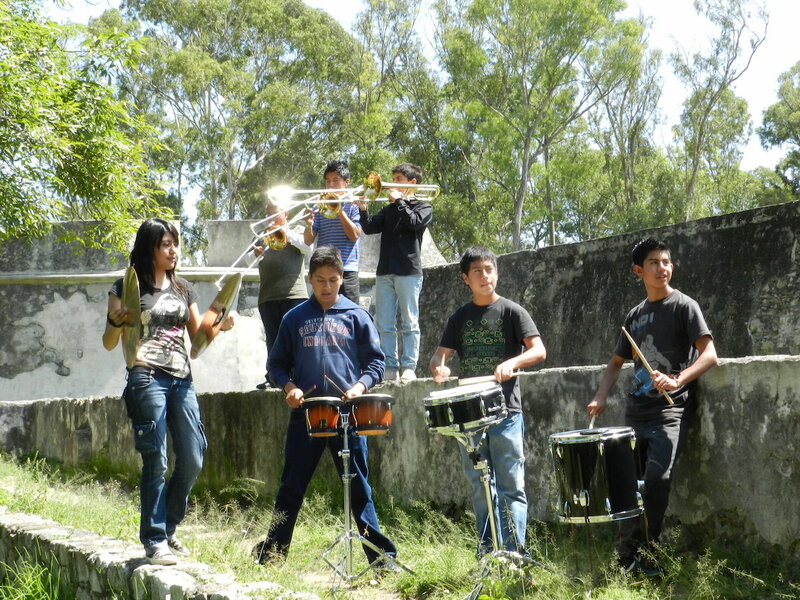 “La Constancia Mexicana” has been and is still being gradually restored, and as well as a musical education and training center, it is also the home of the children and youth orchestra, “Orquestas Sinfónicas Esperanza Azteca”. This extremely historically valuable and now highly positive and active music venue will house the new music museum under the name, “Casa de la Música Viena en Puebla”. “Esperanza Azteca” was started by Ricardo B. Salinas Pliego and the “Fundación Azteca”. The aim of the project is to enable children and young people from socially disadvantaged families to access music, make music together and take part in orchestral performances. 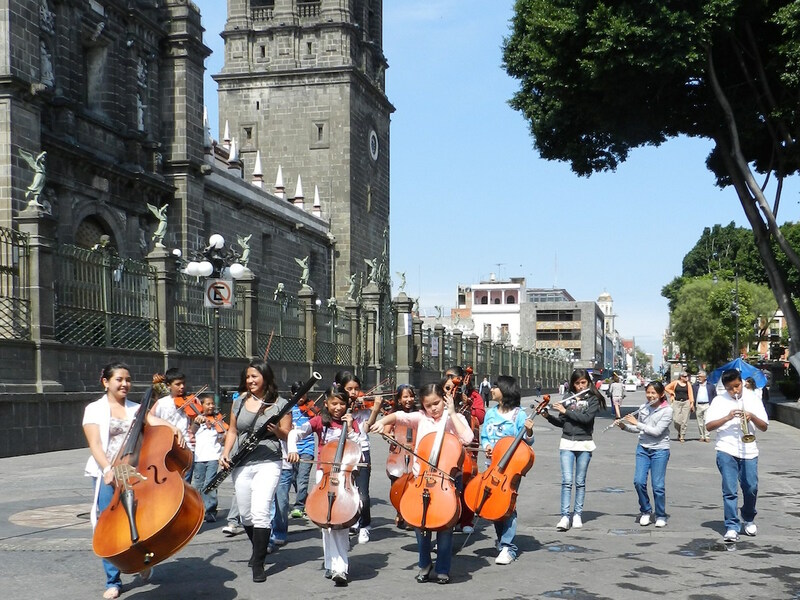 Over 13,000 children and 800 conductors are now involved in 58 orchestras – 56 in Mexico and two in El Salvador. Learning to play a musical instrument and making music together is said to help many children and young people to participate in society, improve their self-esteem and learn basic values such as trust and mutual respect. “Casa de la Música Viena” in La Constancia, Puebla, will serve as both a musical education and training center as well as the headquarters and performance venue of the “Orquestas Sinfónicas Esperanza Azteca”.